If you're an Australian history buff, then the Hartley Historic Village, is a place you need to visit. 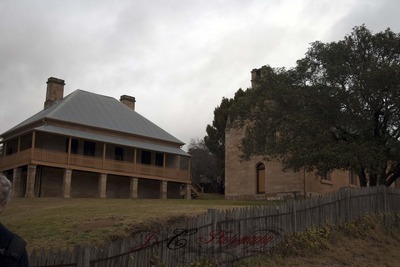 One of the first rural settlements west of the Blue Mountains, has been well preserved,so that when you step into Hartley Historic Village you feel as if you are stepping back in time to the 1830's. The historical village consists of 17 buildings of historical importance, dating back from the 1837 Greek Revival Courthouse to the timber and iron Corney's Garage built in 1945. Surrounded by native vegetation, pastures, orchards and remains of 19th and 20th century cottage gardens. The Greek Revival Courthouse is now host to a museum with guided tours - however on my visit it was under construction so I could not see the museum. 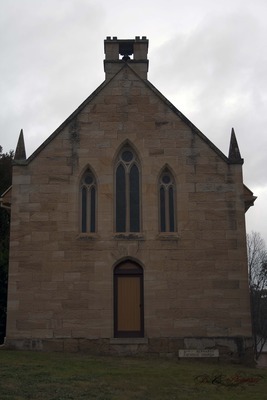 The courthouse was the scene of many convict trials in it's day and would be a great piece of history to see. 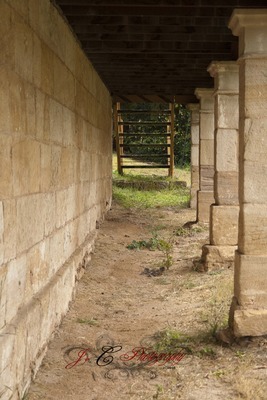 It is free to visit the information centre or explore the many buildings and gardens on the site. The St. Bernard's Church built in 1842 still operates as a Catholic Church today, and although it was closed when I visited, a sneak through the windows showed a beautiful church that has stayed true to it's time. The St Bernard's Presbytery - also built in 1842, home to the priests of St. Bernard's Church - is a gorgeous piece of architecture. It was interesting to learn that the kitchens were in the basement, with no access from the upper floors leaving the servants to carry the food up to the house battling all kinds of weather conditions. Other buildings on site to see are the Old Trahlee (1840), Post Office (1846), Shamrock Inn Cottage (1841). 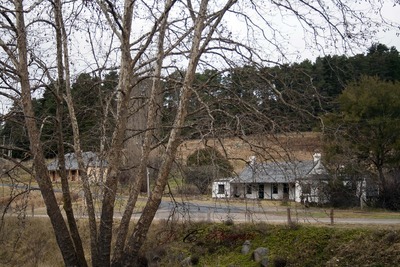 Hartley Historic Village is a great example of a 19th century settlement, that any history lover will enjoy. Why? Step back in time to the 1830's.